The final session at AIM’s Music Connected conference covered streaming playlist strategies, with an expert panel. They included Adam Cardew of Absolute Label Services; David Emery of Kobalt Label Services; Sammy Andrews of Entertainment Intelligence; Justin Barker of Slice Music; Zac Vibert of !K7 Artist & Label Services. It was moderated by Tim Ingham of Music Business Worldwide. Vibert talked about there being a lot more to a campaign than just being on “flagship playlists” on streaming services, even though securing placement is a priority for labels. How to do it though? Barker gave some of his tips for targeting influential playlists. “There’s a definitive distinction between playlists on the platform: one being pitchable, and one being not pitchable,” he said. Label-owned playlists don’t really take pitches. Spotify’s own playlists do have a pitching process to try to get songs onto them. And playlists owned by independent curators are much more pitchable, he explained. He noted that a growing number of YouTube and Twitch stars have big followings for their playlists on Spotify. “Getting in touch with those people is a way you can get your music in front of certain people,” said Barker. 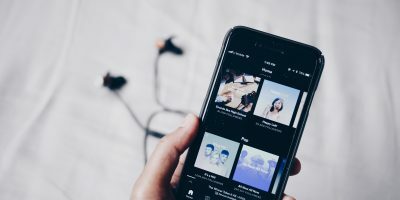 He noted that some of those influencers’ playlists have an impact on Spotify’s own (algorithmic) Fresh Finds playlists for brand new music, so there can be a knock-on effect from successfully pitching to a non-Spotify playlist curator. Emery talked about labels and artists creating their own playlists, and why the industry shouldn’t expect too much from these efforts. Vibert said that when pitching to Spotify’s team to get onto their high-profile playlists, they do check whether an artist is fully engaged with the platform – so having their own playlists might be a help. “Yes, you need to make your own playlists: you might get 100 followers on them… but you need to do it for a reason and keep it up. 90% of ‘Artist Influences’ playlists launch but don’t get updated,” said Cardew. Andrews talked about the fact that the major labels own their own playlist brands: is that a concern for independent labels, who are unlikely to feature much on them. Andrews, of course, is behind the efforts to create an indie-aggregator playlists brand to compete with them. Plans first mooted a year ago at the 2015 Music Connected conference. After the formation of a UK steering committee, then feedback from indie labels elsewhere in the world, an international steering committee was formed. “I can let you imagine what those calls were like,” she said. The initiative has now come down to a shortlist of companies who might run it. “We still have a massive question mark over who funds this: we’re not a major, we haven’t got a shitload of money in the bank that we can dip into,” said Andrews, who stressed that the initiative is needed. “The majority of those top playlists [on Spotify] are absolutely Spotify-owned. But we think there’s a percentage of the market – about 8% at the moment – that are third-party brand-owned.” And the ones owned by majors are being used to break new artists, which independent labels should be doing too. “I really want to make this happen. I think we need it,” said Andrews. The conversation turned to ‘playola’ – paying to get a song included on non-Spotify playlists, either for guaranteed inclusion, or paying simply to be considered for inclusion. Barker’s company does influencer outreach and he thinks this isn’t as common as people think. “We’ve had one person ask us for that, and they asked us for $10. In my experience, which is very direct and quite considerable, I’ve literally encountered this once, and it’s grossly overstated,” he said. Barker said that the two-way relationship between an independent curator and a label should be more about helping that playlister build their audience: for example, sharing a link to the playlist on social networks with a ‘thank you’ when one of their artists is added. Barker said that the top music curators on YouTube will be doing 1m views a day on their channels. “They’ll be earning at least $40k a month doing that. And it’s often just one person, and that’s just the money from YouTube,” he said. Emery talked about SoundCloud, who he thinks have more potential to follow that model. “User-generated content and uploads is much more in-built into their platform, and now they’re licensing and legitimising, there’s more scope for that,” he said. 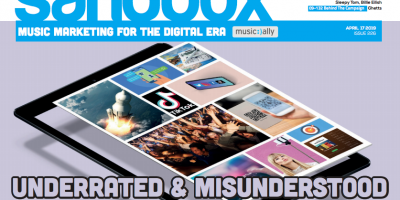 Spotify and Apple Music are “very anti user-generated content, and I think playlisting IS user-generated content”. Andrews agreed that this is a missing thing for the big audio-streaming services, but moved on to talking about numbers. Her advice: don’t think a playlist’s value is entirely about its follower count. The album still does well for a certain level of artists. “As we move into a streaming world, it’s just changed a little bit. The consumption has changed. So maybe rather than doing one single, two single, album drop, you might do five singles, and then three tracks available on the album that weren’t available previously,” said Cardew. “Grime and urban artists are much more in that track-based format now, but for most artists you have to get the balance. Let’s do four, five, six tracks before the album comes out so you get multiple playlists, and traction, then let’s do more tracks after the album comes out,” said Emery. The panel ended with Andrews talking about streaming exclusives, where an artist makes an album only available to stream on a single platform – Beyoncé on Tidal most recently. A welcome trend or a worrying one? Barker added that “people have forgotten how easy it is to pirate stuff” – from ripping YouTube videos to visiting KickassTorrent proxies. So streaming exclusives can spark piracy. Sorry, barker, but playola is not “grossly overstated”. And it is not about $10. I was once asked 100 euros/track for inclusion into one playlist, and last week $2500 to be considered for inclusion (or money back). Closing your eyes to the problem doesn’t eliminate it. And yes, I have proof.